Mrs. Arlt offers the popular 3M Incognito lingual braces. 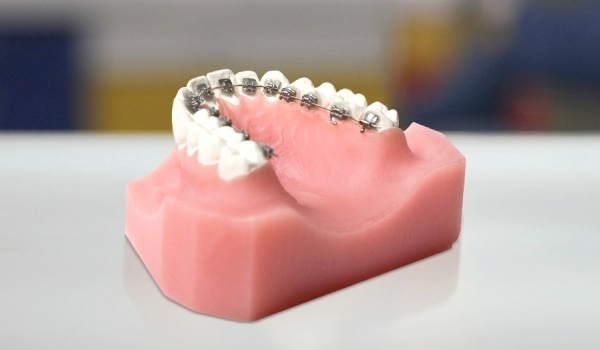 Incognito lingual braces are custom-made with the latest technology for each patient. The brackets are supplied through a precise transfer template . This allows a very fast and especially very accurate bonding of the device to your teeth. Incognito is the modern and invisible alternative to conventional braces. It is completely invisible, easy to keep clean and the only one who knows you are having orthodontic treatment is you. It is designed only for your teeth so not only does this mean it is a perfect fit but that you will get perfect results. Both the brackets and the wires of the Incognito appliance are manufactured individually with the latest state of the art CAD/CAM technology. 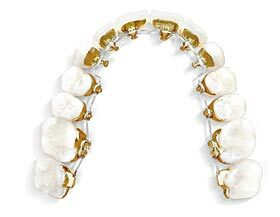 The remarkable flat design of the gold alloy brackets (anti-allergic) provides maximum patient comfort and rapid adaptation to speech. Incognito – is it for me? Would you like to improve your smile, optimise the health of your teeth and look amazing? Have you wanted to have a perfect smile but felt too self- conscious and embarrrased to have train track braces? high flexibility is guaranteed through the possibility of continous, short-term improvements of the device.